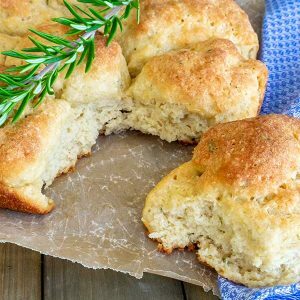 If you love biscuits, you’re going to love these gluten-free cheese and rosemary buttermilk biscuits. At our house, anything that has gravy must have biscuits. 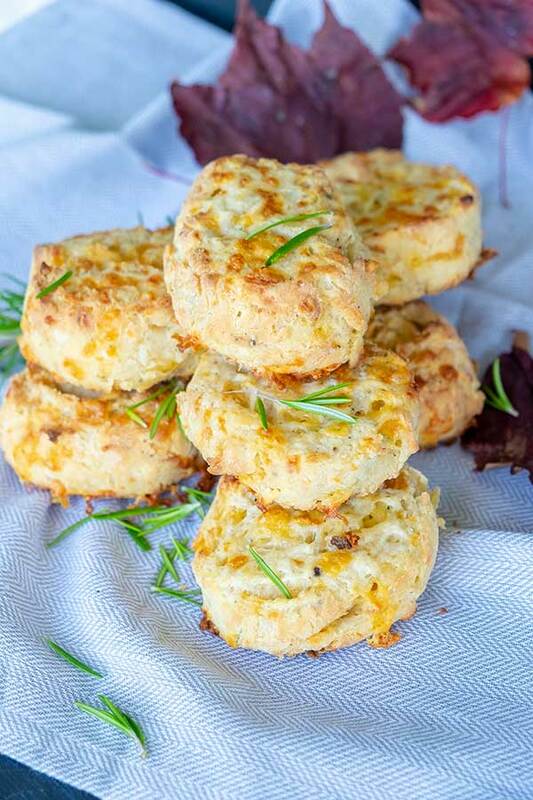 I promise you will fall in love with these buttery, cheesy, soft on the inside biscuits. I have also added rosemary and black pepper to this recipe both of which add so much flavour. 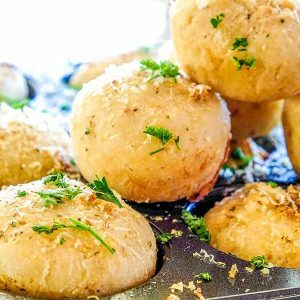 For my family, there is nothing more comforting then a family get together with cozy comfort food, and this includes these savoury biscuits. 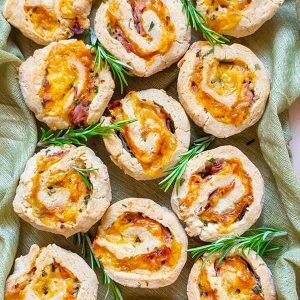 Another way to serve these biscuits is for brunch with bacon and eggs or with hearty soups. If you have leftover turkey, chicken, ham or beef and a little gravy…well you know where I am going here, simply the best combo! Honestly, I cannot think of a more delicious gluten-free sandwich made from leftovers and these biscuits. The best part, this is still a 30-minute recipe. Preheat oven to 450 F and line a large rimmed baking sheet with parchment paper or Silpat. Since I do so much baking I started to use only Silpat instead of parchment paper. I love it!